Rosemary (Rosmarinus officinalis) is a plant that does not belong to conifers, such as pine, but because of the design of their leaves, it belongs to the group of conifers. Rosemary grows as a shrub, woody tree that has green needles-leaves with aromatic scent of rosemary specific. Rosemary flowers are hidden in the form of sheets bloom basically and have a pretty blue to purple color. After completing flowering rosemary bears fruit reminiscent of nuts. For rosemary knew the old folks, especially the ancient Greeks who are assigned Rosemary to goddess of beauty - Aphrodite. The Romans used rosemary as protection, while in ancient Egypt, rosemary was a symbol of loyalty between men and women at the wedding. 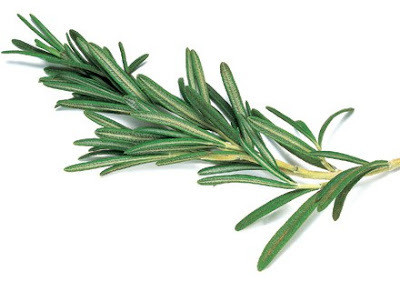 What are the Medicinal Parts of Rosemary? The healing parts of rosemary are needle thin green leaves in first place, but healing effects also possess stems and flowers. How to Grow and Use Rosemary At Home? Rosemary is mostly grown on the soil of the Mediterranean, but today the large producers of rosemary are France, Italy, Spain, Greece, and USA. He loves sunny and warm places and do not like the wind, cold and high humidity. Also, since the rosemary mostly used as a spice in the kitchen, housewives can be seeded rosemary in a pot and in this way always have fresh rosemary in the preparation of meals. Rosemary can be used as fresh and as dried rosemary. What is the Nutritional Profile of Rosemary? 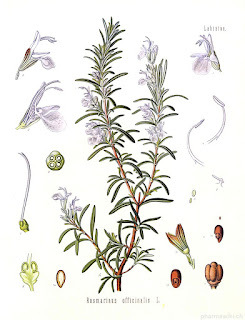 Nutritional profile of rosemary is rich in essential oils but also in minerals and vitamins. In rosemary there is a lot of vitamin C, folic acid, vitamin B6 and B11, Vitamin A. Minerals that make up the nutritional structure of rosemary are: iron, calcium, manganese, copper, magnesium. In addition of essential oils that give the aromaticity to the rosemary, to the chemical composition of the rosemary also inputs tannins, glycosides, saponins, camphor, pinene, borneol, enzymes. 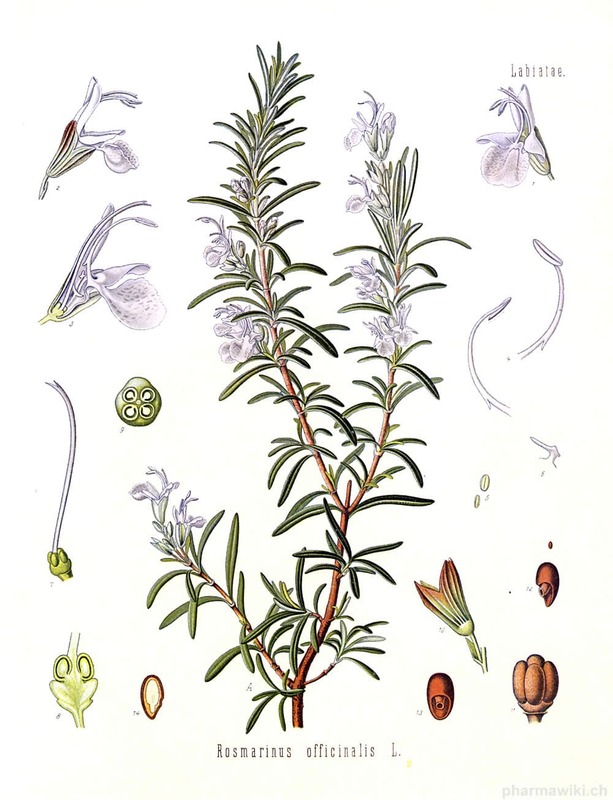 Curative effect of rosemary comes from the large presence of antioxidants. Among the others, the most important is oleanolic acid, which is a strong antioxidant and a fighter against cell damage. What are the Health Benefits of Rosemary? This is the most important feature of rosemary which is why rosemary was recognized by the ancients, philosopher and physician. Rosemary has the capacity to stimulate blood circulation to the brain, which increases concentration, memory and mental abilities. Rosemary is a plant which possesses strong anti-inflammatory properties which is especially shown in the presence of asthma. 3. 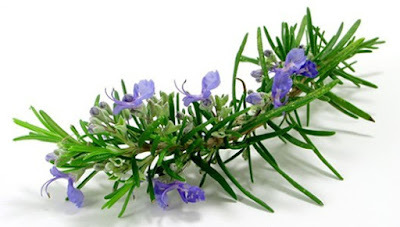 Rosemary relieves spasms and pain in the muscles, joints, relieves menstrual pains, rheumatism and arthritis. 9. The cosmetic purposes - rosemary is used to improve the growth and strength of hair. Also, rosemary has the property of bleaching hair. In addition to hair, rosemary is used as a refreshing tonic for skin. In the presence of dandruff, it is recommended to use essential oil of rosemary. It is enough to massaged one to two drops into the scalp and then washed with nettle tea. 10. 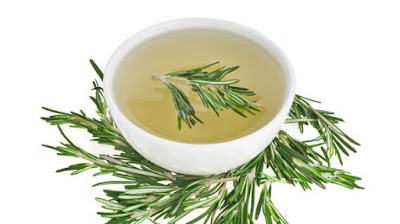 Rosemary is used as a cure for excessive sweating. Young tops, leaves and flowers can be prepared as a tea, which is a good remedy for headaches, stomach cramps, colds and nerve diseases. Rosemary tea has a beneficial effect on muscle relaxation, indigestion and menstrual cramps. If you have anemia, low blood pressure, poor peripheral circulation, or you feel tired, try to return to normal with wine of rosemary. In a glass bottle put a good handful of rosemary leaves and pour over the red wine to the top of the bottle. Close the bottle and let stand for seven days with daily shaking. After seven days, strain the contents of the bottle through a strainer into a new clean jar or bottle. Take every morning ¼ of glass before breakfast and before lunch. Depending on the type of anemia and a psychical condition of person, the positive results will be seen temporarily. For someone that recovery period is 7 days after consumption of wine and for some is longer, about a month ago.